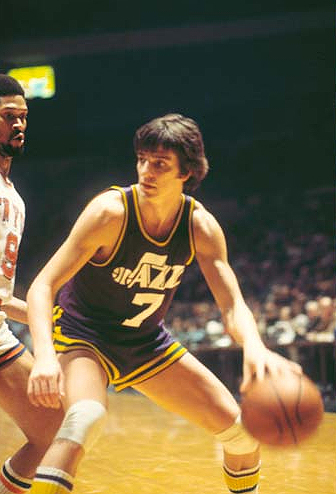 This is largely why, when some lanky kid from Spain professed to be the next coming of Pete Maravich, we scoffed at the thought. That’s not to say Europeans haven’t made their mark on the league. They have… but a 21-year old Spaniard who barely weighs 180 lbs.? Please. We all saw what Rubio could do in the 2008 Olympics at only 17 years of age, talented, instinctive but frail and rough around the edges, perhaps a little too flashy for his own good. For every highlight, there were four turnovers. When the Minnesota Timberwolves drafted him fifth overall in 2009, he decided to stay overseas, opting not to play in the NBA. Minnesota remained patient, holding on to his rights. This year, Rubio finally decided to join the fracas, and the league is better off for it. Sure, the kid’s still young, lanky and the season’s barely begun but Rubio is already turning heads. He’s averaging ten points and eight assists in 28 minutes per game off the bench which equates to fourth in the league in assists per 48 minutes. He’s tallied three double-doubles in his last four games, again, off the bench, leading most of us to believe, that whole ‘off the bench” thing won’t last very long. Critics blasted Rubio, a first round draft pick, saying he could never succeed at this level, that his game was too unconventional, that he’s merely a flash in the pan. Does any of this sound familiar? Rubio has officially become the Tim Tebow of the NBA. His team likely won’t make the playoffs, whereas Tebow’s Broncos have, but… he’s an emotional spark, comes up with plays we seldom expect, helps lead his team to victory and most importantly… he puts butts in the seats. And he’s only played with his teammates ten games, with limited training camp. Keep in mind Tim Tebow hasn’t started a full season either. Look, I’m not saying Rubio is Minnesota’s savior. Far from it. What I am saying is that he got me to watch a game I otherwise would not have. That has to count for something. The last time I went out of my way to watch a Minnesota Timberwolves game, Sam Cassell and Latrell Sprewell were playing for them. That was eight years ago. Rubio still has plenty of work to do. He still takes bad shots. He still makes ill-advised passes. And he still needs to add pounds to his frame to keep up defensively with the stronger point guards in the league. But he hustles and so far, even though they’re 3-7, they’re a team you have to prepare for. Rubio’s a young point guard on a young team. If ownership can keep their core of Kevin Love, Derrick Williams and Rubio together, tinker with a few pieces here and there, the ‘Wolves will continue to be an entertaining team to watch, and might just win some games in the process. This entry was posted in Featured, Hardwood and tagged Chris Paul, Deron Williams, Derrick Rose, Latrell Sprewell, Minnesota Timberwolves, NBA, Olympics, Pete Maravich, Rajon Rondo, Ricky Rubio, Russell Westbrook, Sam Cassell, Steve Nash, Tim Tebow, Tony Parker by Chris Humpherys. Bookmark the permalink. After looking up some pictures of Pistol on the internet, I was actually surprised at how much the two even LOOK like each other. You do know that merely mentioning Tebow’s name in a post brings a hundred extra hits a day, right? Tebow, Tebow, Tebow, Tebow, Tebow. I think I just crashed the site. So what would break the internet then? Tebow renouncing his religion and marrying Kim Kardashian? Actually, Chap, I was thinking more along the lines of Tebow coming out of the closet. Ricky “Don’t Lose That Number ” Rubio has all the prerequisite skills to be a major star in the NBA but are the Timberwolves good enough to be seen as credible contenders for an NBA title ? These questions will be asked and answered possibly over the course of their season . Speaking of which whatever happened to Sebastian Telfair ? Wasn’t he also meant to be one day one of the best guards in the league ? I guess that’s what happens when you’re related to an ingrate like Stephon Marbury ? It’s still way to early to proclaim Rubio their franchise player (Love probably is anyway) but as Drew and I mentioned, he’s drawing attention to himself. His assist/turnover ratio isn’t horrible and his field goal percentage (46%) isn’t nearly as bad as I thought it would be. In fact, it’s pretty damn good. We’ll see if that keeps up as his minutes increase. I don’t think this is a playoff team but it’s one you can’t take lightly. And Telfair, Al, why aren’t we talking about him as one of the biggest recent busts the NBA has seen? Oh, that’s right: Darko. I was surprised to see Telfair played as long in the league as he did. He started a few games for Portland back in the 2004-2005 season and he’s actually logging scant minutes for Phoenix right now. But let’s be honest. I never thought all that much of him to begin with. First of all, he’s under six-feet tall. Oh, and he’s a career 39% shooter. That is an example of how NOT to make your mark on this league. So Rubio is a Spanish Cam Newton? You thought I was going to say the T-word, didn’t you? And most of all, he seems to be having fun out there. It’s that type of infectious enthusiasm that endeared so many to Magic Johnson. Entertaining is one thing, winning is another. Magic had that rare combination of both. RR has that certain something but is he a leader? I guess what’s most amazing about the whole Tebow-Newton phenomena is that, while at Florida, Newton could never wrestle that starting job away from Tebow. It appears that, at least early on, he’s leading by example. The egos in the NBA love receiving the ball in scoring position. And that’s what Rubio does. I’m not sure how vocal of a leader he is (Duncan wasn’t one and it worked out well for him) but so far, so good for little Ricky. I’d take him on my team, that’s for sure. Can you imagine if this kid were on the Knicks right now? The likes of Telfair were simply looking to be paid and that’s it . Little basketball intelligence much less real intelligence ! He’s now on the Suns’ roster . What’s he actually going to learn from Steve Nash and put into practice within the NBA ? Love will be the face of the T’wolves for years to come should he choose to remain with the franchise . He’s going to be paid as a free agent when the time comes . Why did the Grizzlies take their foot off the pedal against the Knicks ? At one point there were up by almost 30 points against them during the game . The Knicks sorriness is eventually going to cost D’Antoni his job, opening the door for one Phil Jackson to step in and save the day. At least that’s what we all want to see, don’t we? Of course, Jackson would need total, or close to total, personnel control before taking the leap out of retirement. Is it just me or does the league miss his occasional sound bite. What is Rubio doing playing basketball? I thought the newly anointed senator from Florida was supposed to be up in Washington making the country safe for rich people’s money. I thought of that myself. I guess that’s another good question. Forgetting about Tebow for a second, which RUBIO will go on to have a better career? And who will be president first, Tebow or Marco Rubio? You said it EXACTLY right Chris. 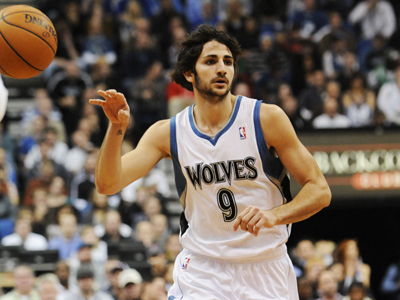 If the Wolves can re-sign Love to an extension next year, Minnesota will be a pretty-good team. Rubio is already an elite point guard. Him and Kyrie Irving from the Cavs are two rookies that are not disappointing. Rubio reminds me of a Jose Calderon, can score and can pass you to death. A really good pickup for the Wolves. Love strikes me as the kind of guy who’s not going to make a big stink when his deal is up in Minnesota. I’m sure he’ll test the market but I can easily seeing him staying put, particularly if he sees that team is actively making steps to improve. Of course, I could be wrong but I think he’s got a little more Durant in him than he does Bron Bron. Great title. I want to see more of him before passing judgment. But he can pass. And most definitely, the “experts” just killed him from Day 1 when people started mentioning he might play in the Association. Always root for guys to prove those “experts” wrong. I think when he went all Eli Manning/John Elway on the Timberwolves, most of us were like, who the hell is this guy. Fortunately it looks like this story is going to have a happy ending.